So, it's major story time here on Someone Like You. Gather around our internet camp fire and get ya self a cup of hot cocoa. My roommate and I were walking to lunch the other day and we stumbled across this tiny little creature and had to look twice--it was a baby squirrel. Kent State is known for our squirrels, they're like our unofficial mascot (and should be our actual mascot in my opinion). We had never seen a baby squirrel before and were ohhing and ahhing over it when we noticed something was wrong. It was so tiny and fragile, not to mention shaking like a little leaf. It looked like it was trying to come toward us, but didn't have the strength to do so. We both knew it was really sick, having fell from the tree above so the mother couldn't care for it. We left it there with heavy hearts knowing there was nothing we could do. So, I'm taking outfit pictures today and I see this really weird guy kinda wandering around in the woods. He starts coming up to me after I've been there awhile and I'm thinking, "Oh no, some creepy guy coming to hit on me." But instead, I was shocked to find that this guy was holding THE BABY SQUIRREL in the palm of his hand! He had rescued it from where my roommate and I saw it and has been taking care of it. He said it wasn't sick, but after he fed it and warmed it up it acted completely normal. He did some research on it and since the squirrel could hardly open its eyes or walk, it's around five weeks old. The kind guy has been feeding it soy milk from a straw every four hours and keeping the little guy in his dorm. I thought it was the sweetest thing ever and I couldn't believe someone had rescued the poor thing after seeing it look so sad. It was SO cute because the little guy was just burying himself into the fleece shirt sleeve of this dude and my heart melted. I don't know what will happen to the baby squirrel, but it's so comforting to know that there are still kind and caring people out there that would do something like this. Makes me have some more faith in humanity after losing a lot following Miley's VMA performance. Lulz. the sweetness of that story is just too much for me. i used to be weirdly, weirdly obsessed with squirrels. and that little guy is just so cute! i'm glad you snapped a photo to remember him by. 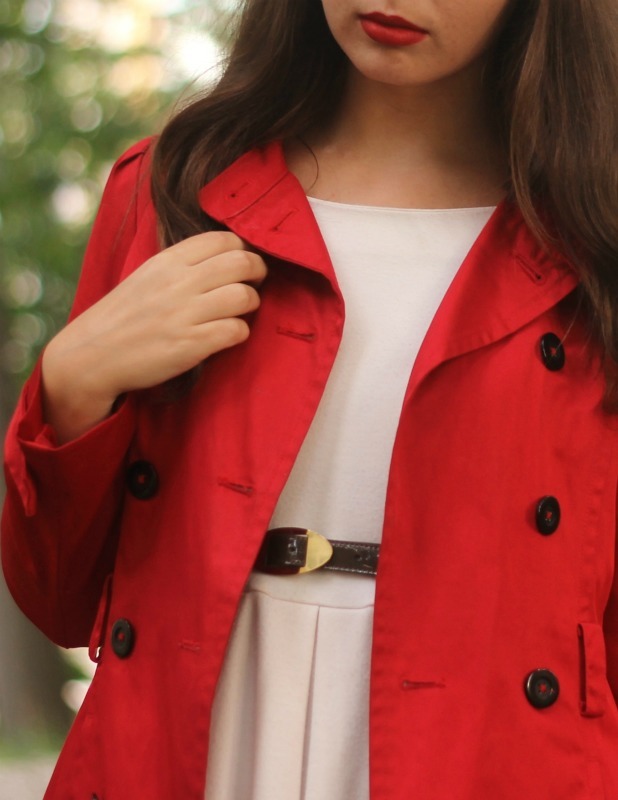 & love the red trench. First of all, you should have taken that guy out for coffee for saving that baby squirrel and then married him! Seriously, that is the coolest thing I've ever heard in my life. Hope school is going well so far! We need to have a skype coffee date once I get back from MO! 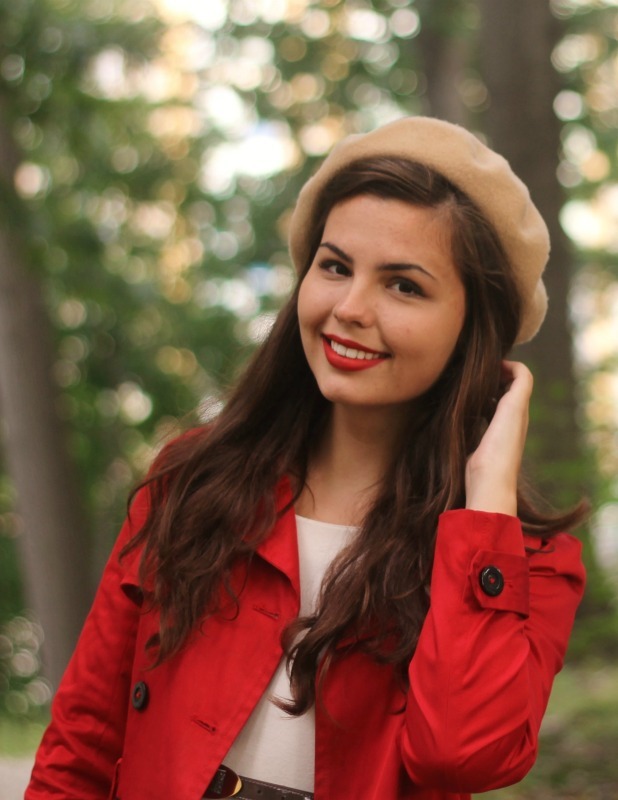 Love the combination of the red trench and camel beret. I'm so jealous that you can wear fall clothes already. The heat has just started where I live so I don't think I'll be pulling out my cool weather attire anytime soon. 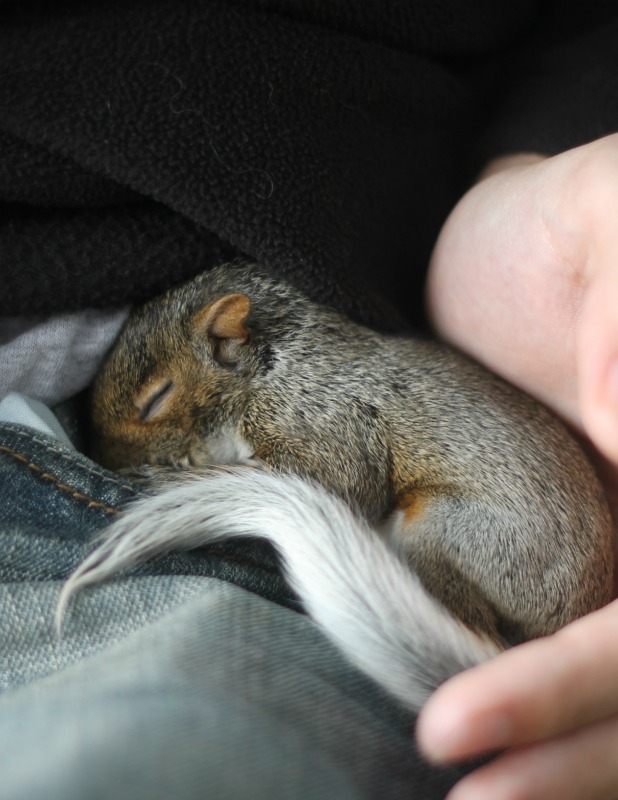 And this story is kind of funny because my friends in college found a baby squirrel and tried to nurse it too. I wonder if this is something that happens on college campuses often. Very sweet of the guy to take care of it. the squirrel is so cute. hope it gets well sooooon. I myself have rescued small birds and know that its a great feel. So sweet! I love your outfit. I can't wait until Georgia decides to cool down! 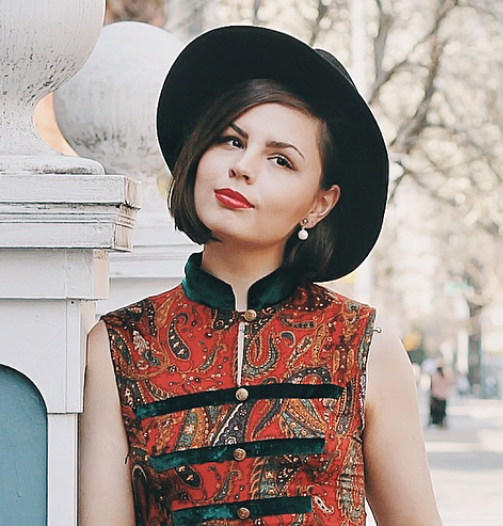 First of all, red is your color -- this jacket is perfect on you. Secondly... OH MY GOSH. THAT BABY SQUIRREL. I CAN'T. It's wonderful to know there are still kind-hearted individuals out there. 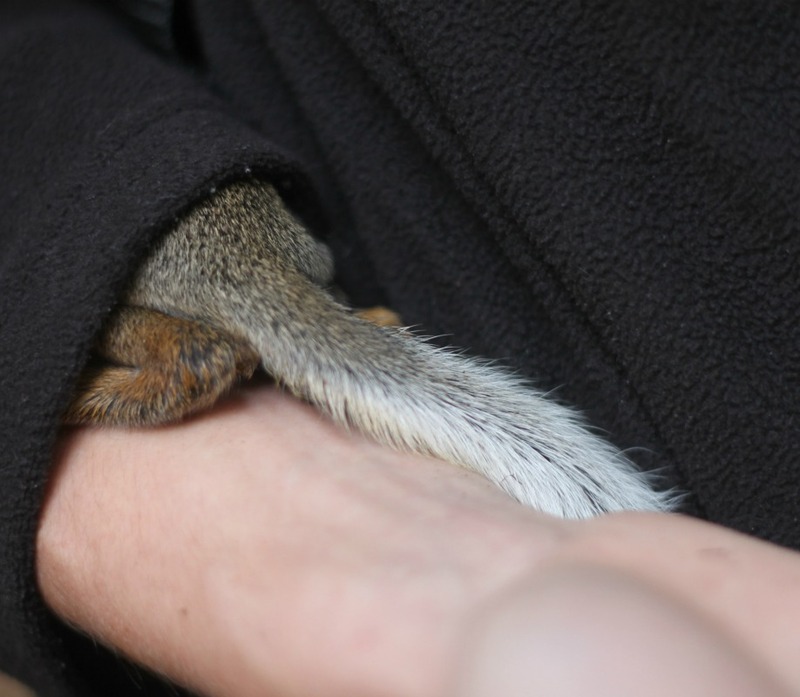 D'awww the squirrel <3 I probably would've freaked out though. I don't do well with untamed animals, Heh.. ANYWAY, you are such a doll. 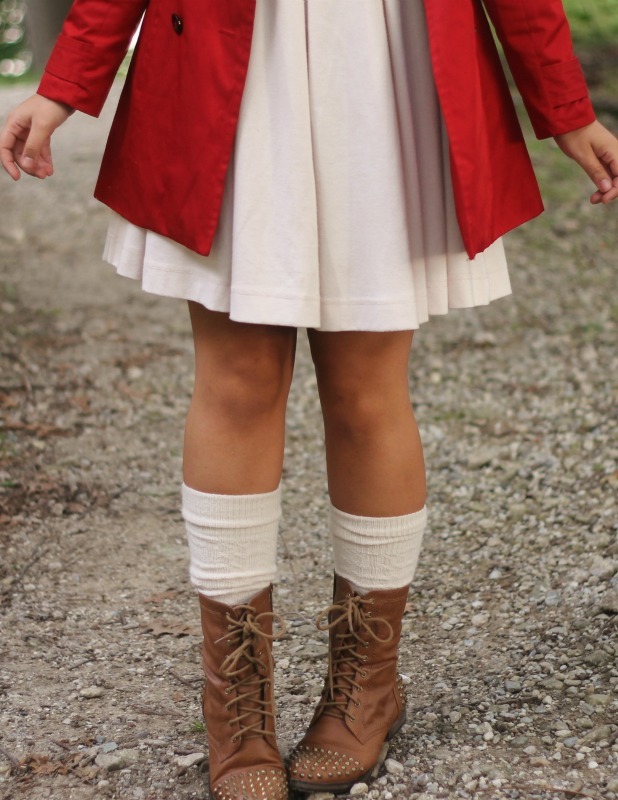 Love your red coat and those boots are badass! Great little post here, lady! Such a sweet story - and outfit! 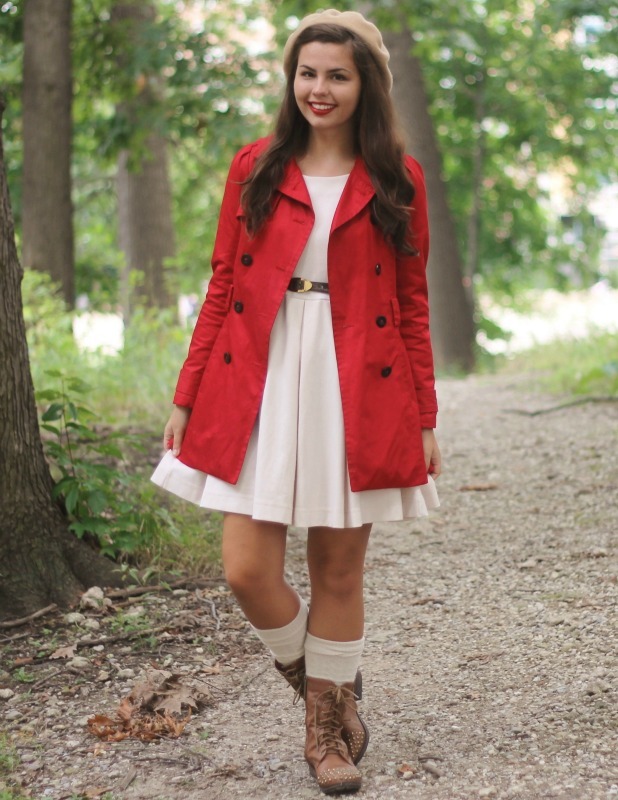 I love that red coat so much, and this whole ensemble is perfect for slipping into fall. This is one of my favorite outfits you've ever worn! Love it! That guy sounds like a sweetheart! Was he cute?! hahaha. oh and that baby squirell!! cutest thing ever!! You look so adorable! 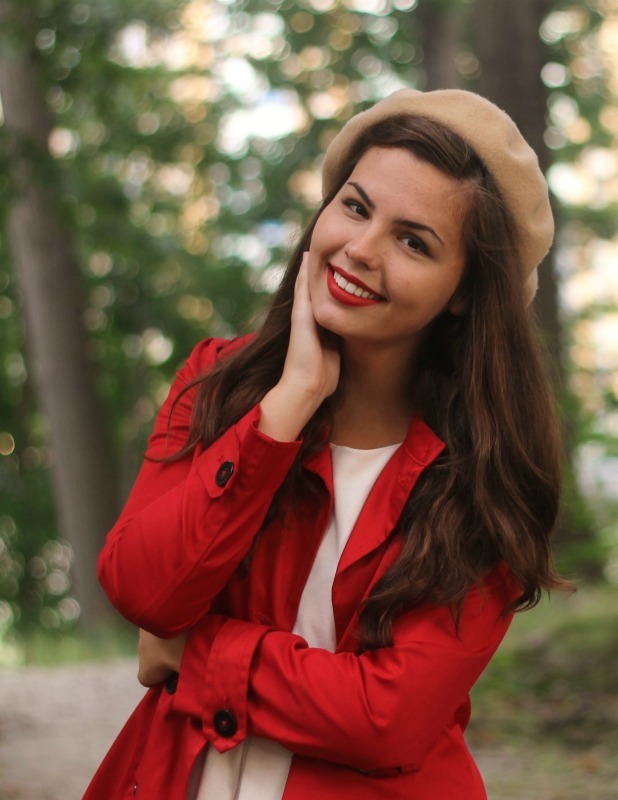 that red jacket is just a dream! awwww the baby squirrel! I just have no words! So glad the guy saved it! I truly adore the baby squirrel!!!! My brother is a squirrel charmer (don't know how, but since he was a child he could cause squirrels to follow him around and sit on his lap or whatever). He had a pet squirrel when he was about 6 that was a baby. I wasn't alive back then, but I am sure it was darling like this one!!! That is nice of the guy to take care of that sweet baby. Your outfit is so great an I love the socks and boots!! Beautiful colors!